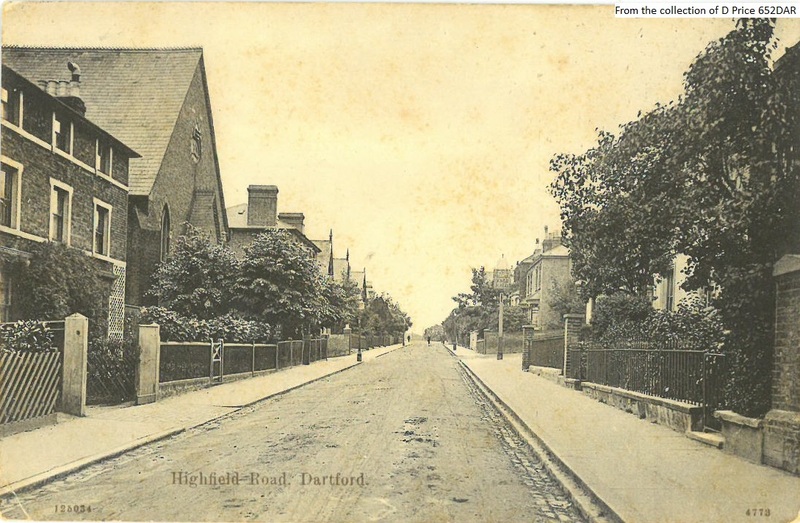 Welcome to the town page for Dartford. 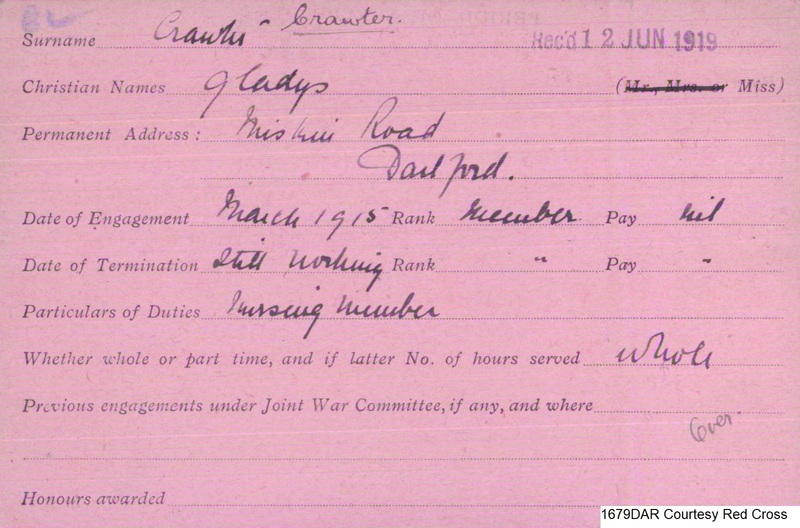 Explore your town map to discover people who lived in your town during the First World War. Don’t forget to visit the 100 MILES page for the Trail information and downloadable leaflet, booklet, walking directions and quiz. These trails were developed in partnership with Dr Mike Still. 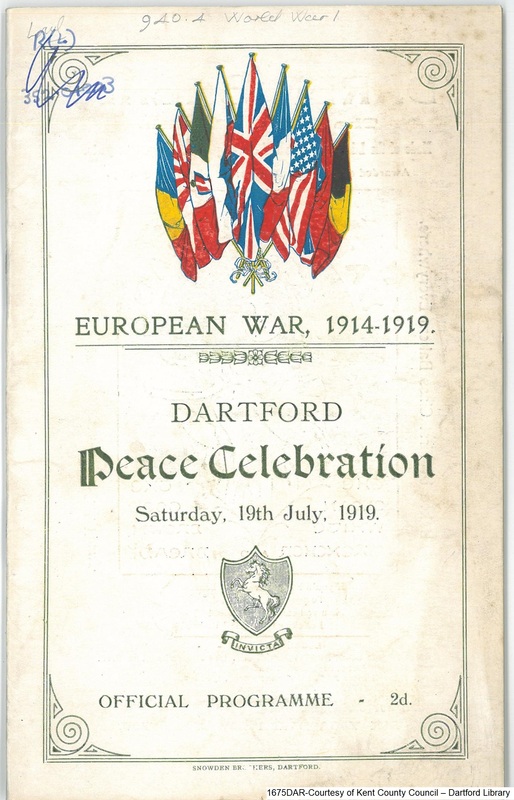 Dartford had established industries prior to the First World War all of which diversified their output to support the War effort. As early as January 1914 J E Hall had expanded their factory in expectation of increased demand for heavy machinery should Britain be involved in a War. 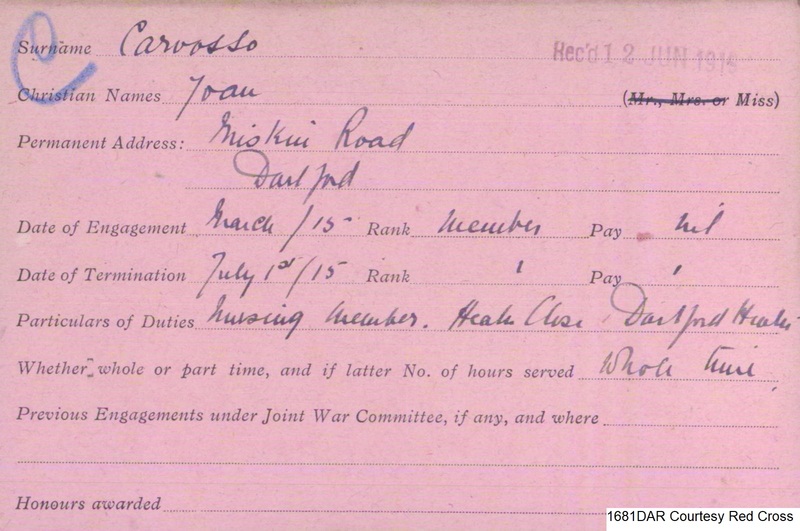 The Dartford workhouse was handed over to Vickers- Armstrong in 1915 for use as a hostel to house additional munitions workers needed to increase production of munitions. 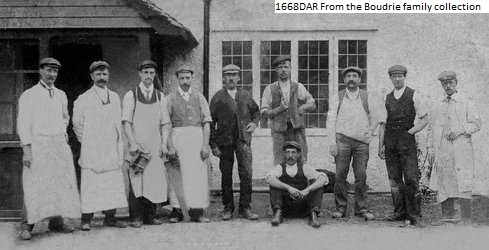 Previously the Workhouse had been used to house the first Belgian refugees to arrive in Dartford in Autumn 1914. Nearby Joyce Green airfield had been in use from 1911 and was the home of Vickers and Sons who developed their planes at Joyce Green. It was used by the Royal Flying Corp during the War as a training airfield and also had a squadron based there to defend against enemy air attacks. 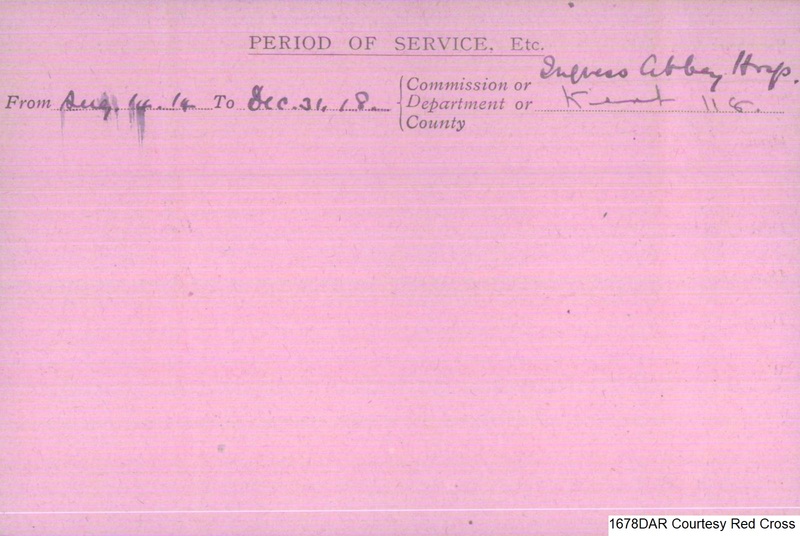 Aircraft were scrambled on Christmas Day December 1914 to intercept German bombers who had dropped bombs near Cliffe. 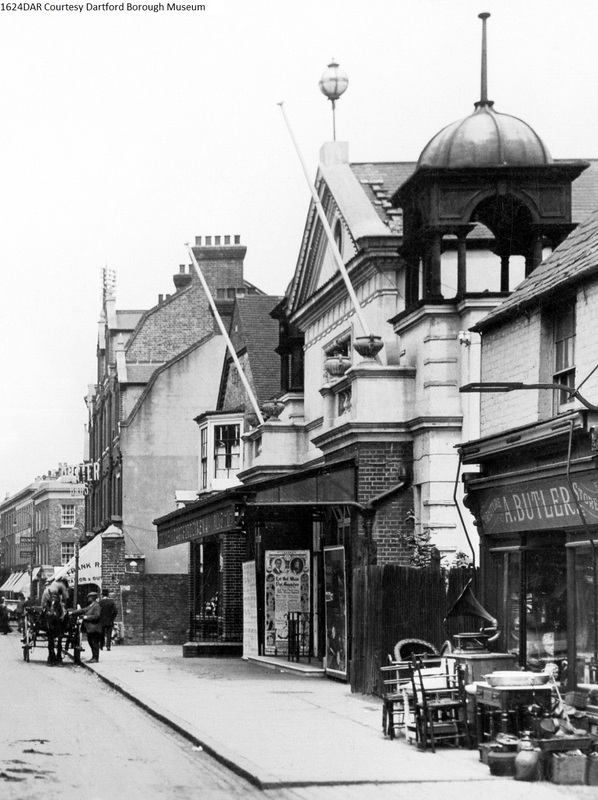 There was an anti-aircraft battery at the top of Brent Road in Dartford which shot down a Zeppelin in 1916; the first recorded shooting down of a Zeppelin by ground fire in the country. 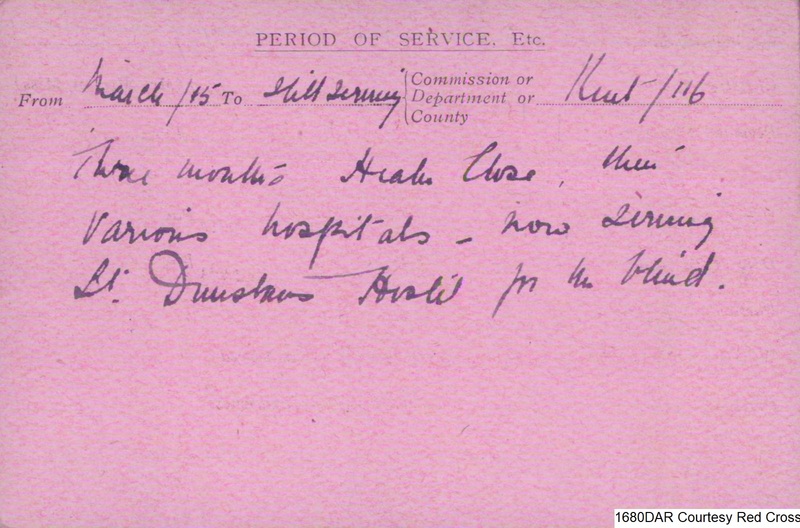 In October 1914 the local Voluntary Aid Detachment (VAD) unit Kent 116 was mobilised when wounded Belgian soldiers arrived, there was a Red Cross Auxiliary hospital in Heath Close, Dartford. The local unit was supported by VAD personnel from all over the country and even from overseas due to the large number of hospitals in the area. 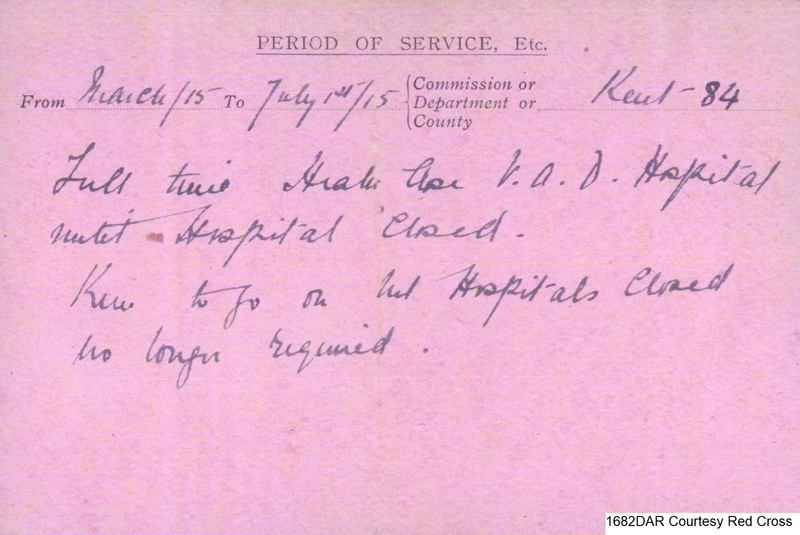 In 1915 the Lower Southern Hospital was given to the military authorities to treat German prisoners of war and became known as Dartford War Hospital; also in 1915 the Orchard became a convalescent hospital for wounded soldiers it had 1,200 beds. 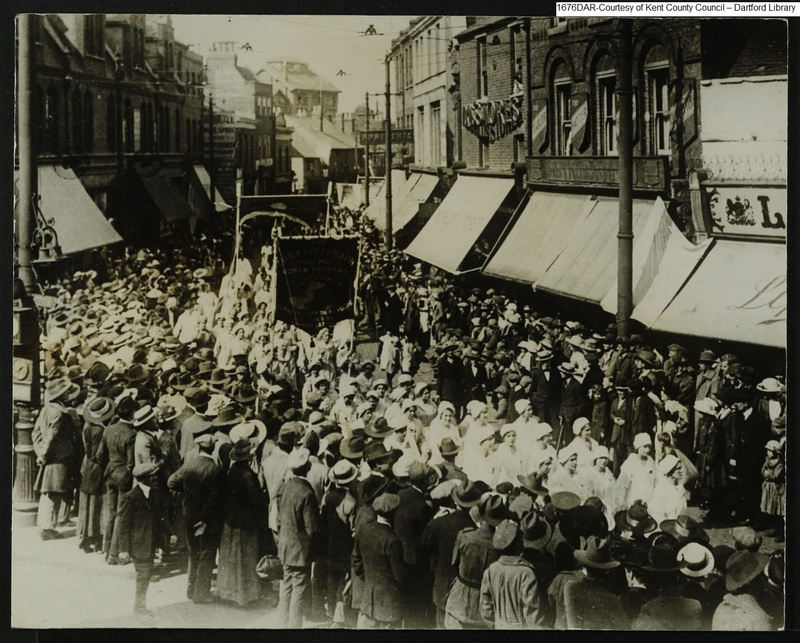 In October 1916 the Orchard became the Dartford Australian Auxiliary Hospital ( number 3) and the Upper Southern Hospital at Gore Road was taken over in 1918 by the American’s as a Base Hospital and became the largest American hospital in England with over 2,000 beds and a cinema. 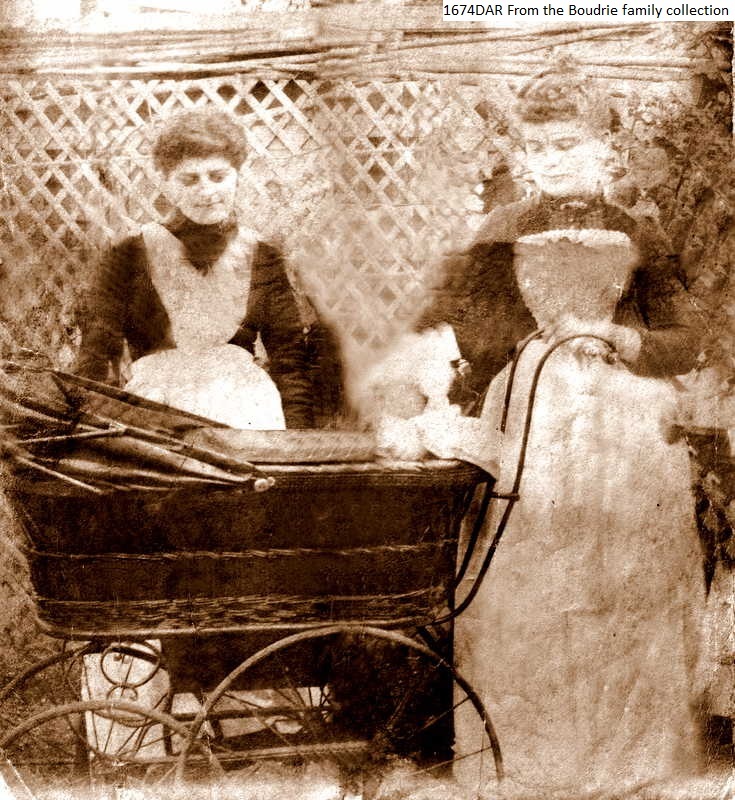 An event which happened in August 1917,which was not caused by enemy action, was the complete destruction by fire of the tram sheds containing all the trams which transported thousands of workers a day. 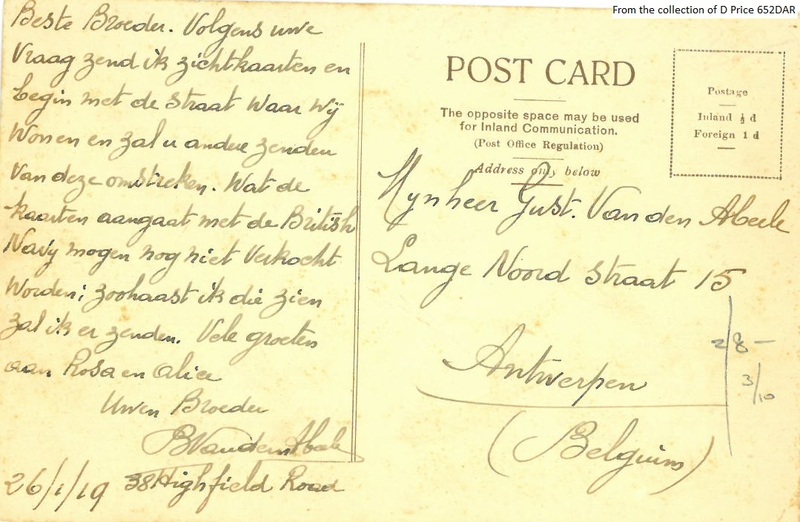 This card was written in Flemish and was sent by a Belgian refugee to his brother in Belgium. 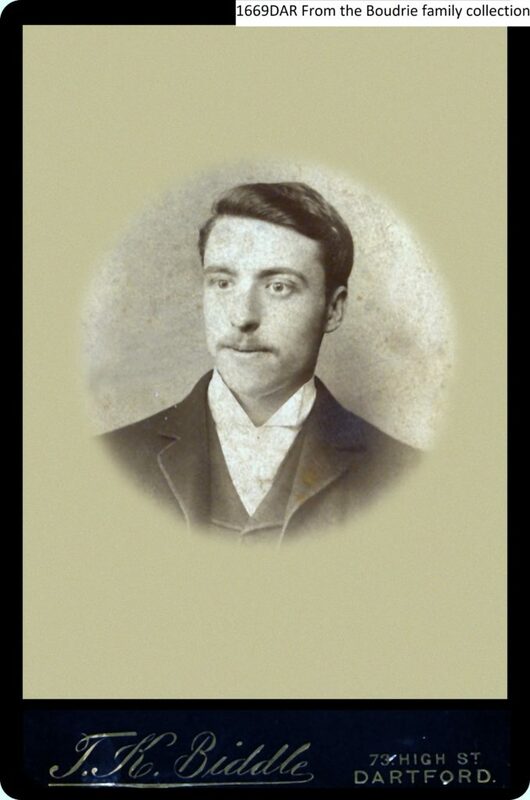 Ernest Achille Boudrie (b 6 October 1897) was the third child of Ernest (b1871), a carpenter, and Frances (b 1871) who had six children in total. 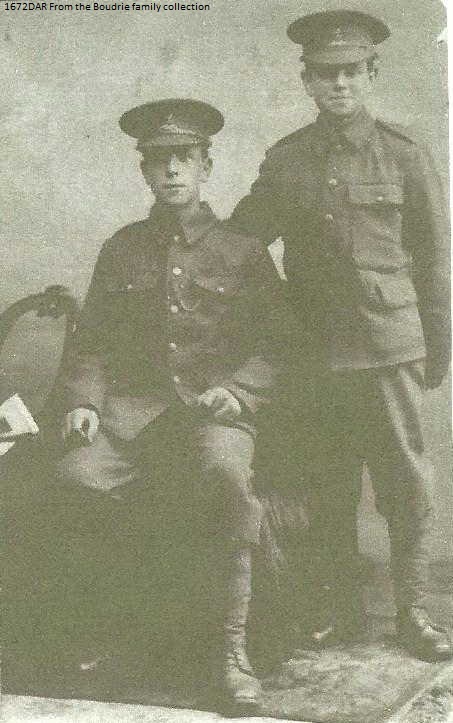 Ernest enlisted with the 4th Royal West Kent Regiment as a private but transferred to the 3rd (City of London) Battalion the Royal Fusiliers in the London Regiment between November 1915 and January 1916. 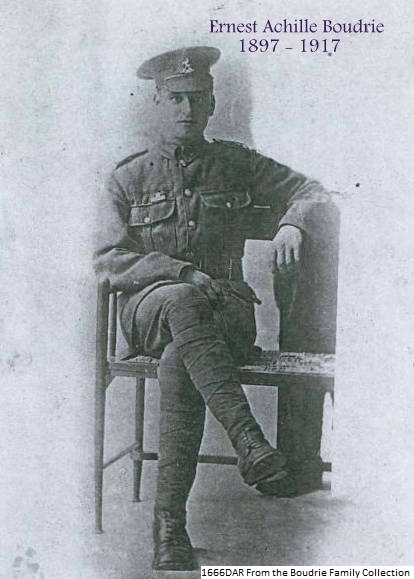 He served on the Western Front from the 1st September 1916 until he was killed in action on the 16th of August 1917 and is commemorated on the Menin Gate. 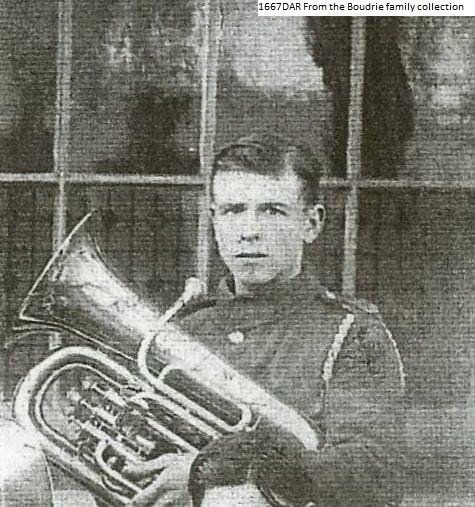 His younger brother Leonard Edmund Boudrie (b 1899) also served as a bandsman in the Royal West Kent Regiment and was a keen runner. 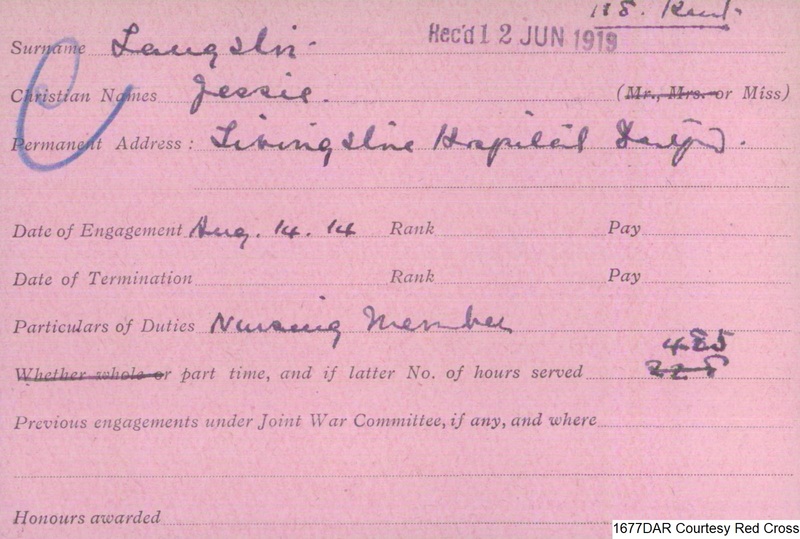 Leonard was to survive the War and was still serving in 1924 when he married. 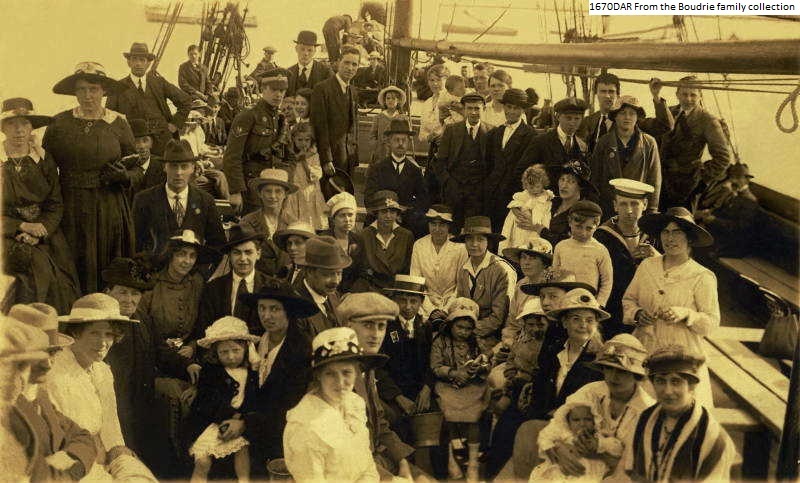 Their elder sister Eunice married an Australian soldier William Harold Hutchison in Dartford on the 24 July 1919 and subsequently emigrated to Australia. 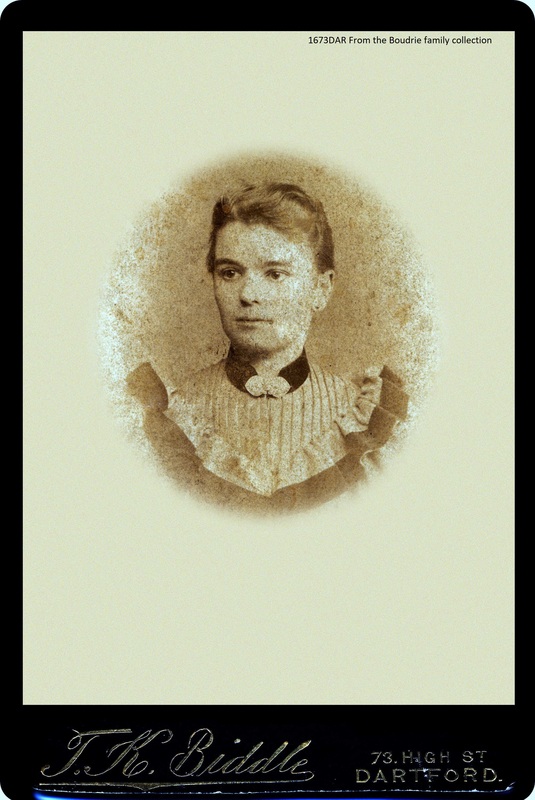 Her parents were to join her in December 1922 and Leonard also emigrated to Australia in the 1920s. 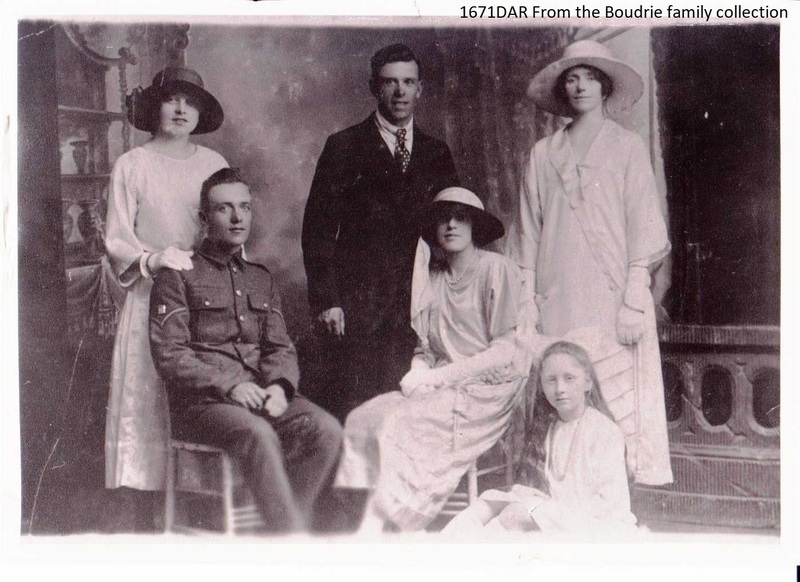 Leonard Boudrie Bandsman R West Kent Regt.